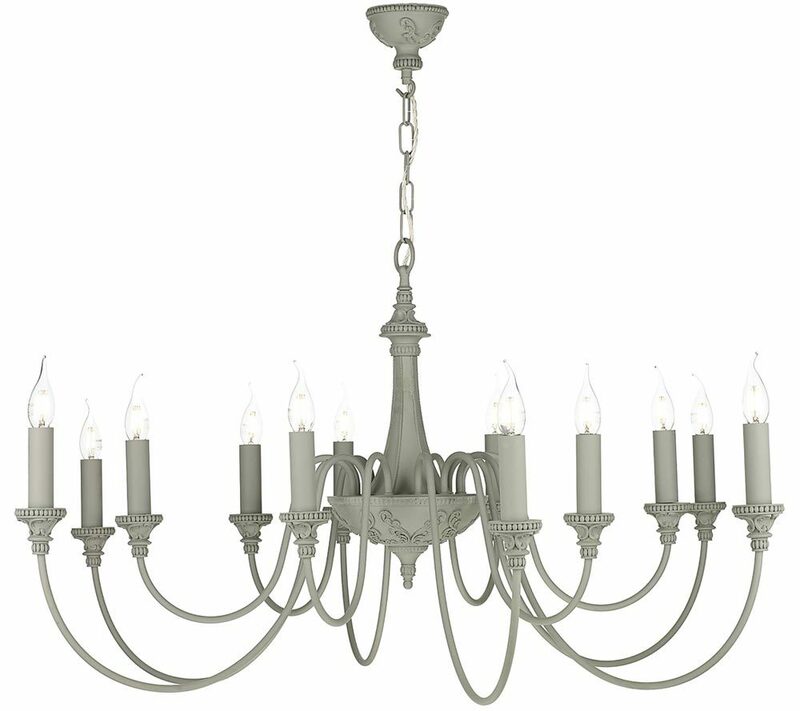 This David Hunt Lighting Bailey 12 light large chandelier in ash grey finish is a timeless classic and handmade in Britain from steel and cast resin. A beautiful Flemish style chandelier featuring a sweeping stem and lower gallery, with a single tier of twelve double curved arms fitted with candle style lights. Each light features an intricate embossed candle drip and ash grey candle tube. 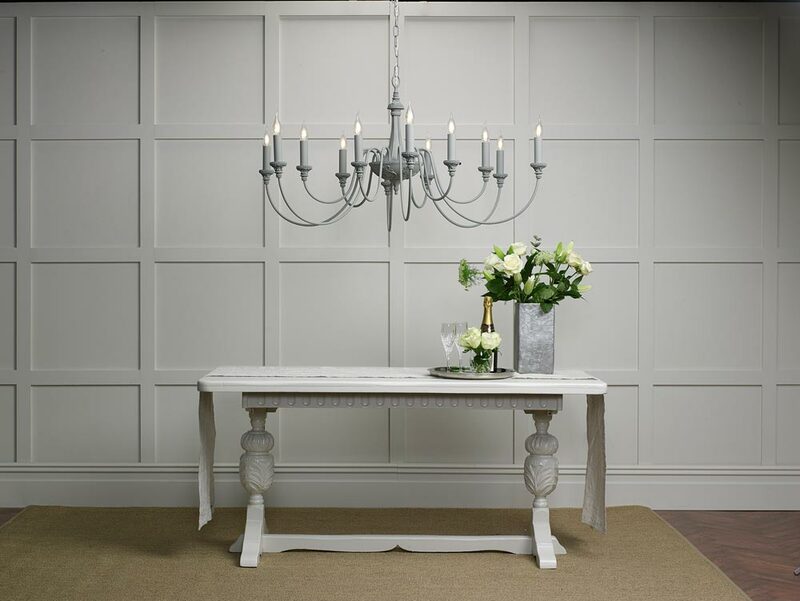 This classic light is designed and made in Britain by David Hunt Lighting who are well known for the design and manufacture of original hand crafted products such as the Bailey 12 light large chandelier in ash grey finish you see here.